Today more than ever, there is a need for high-quality reagents to enable critical research that advances science. Our portfolio of liquid and dry reagents supports discovery in countless areas including agriculture, cancer, cardiovascular, genetics, neuroscience and stem cell research. Choose proven Beckman Coulter systems and reagents for manual and automated DNA/RNA and clinical/research flow cytometry applications. 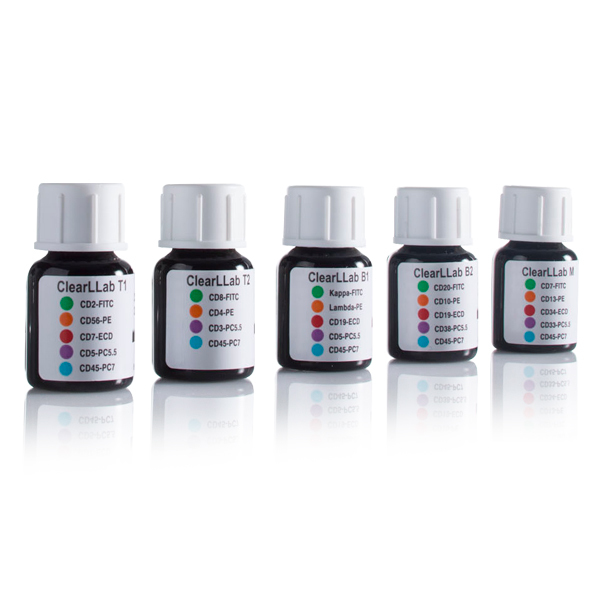 We have an expanding portfolio of reagent systems and kits for today's life sciences labs. 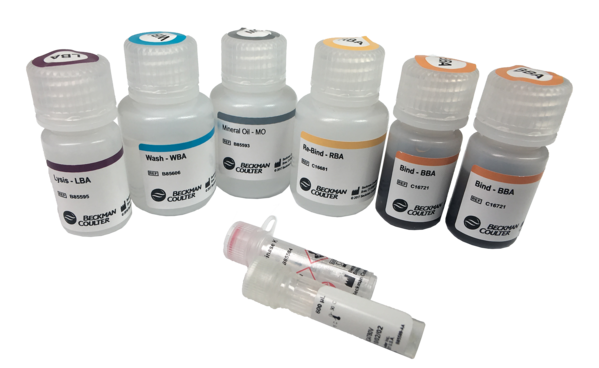 Beckman Coulter genomic reagent solutions are powered by Solid Phase Reversible Immobilization (SPRI) technology, widely known for use in our Agencourt AMPure XP in which paramagnetic beads selectively bind nucleic acids by type and size. SPRI enables our chemistries to deliver high-performance isolation, purification and clean-up protocols supporting applications such as qPCR, ddPCR, Sanger sequencing, next-generation sequencing and microarrays. Our genomic solutions can be used interchangeably between manual methods and automated methods on Biomek liquid handlers, combining optimum performance with unprecedented flexibility. A variety of particle cell counter and analyzer reagents to optimize instrument setup, sample preparation and quality control. 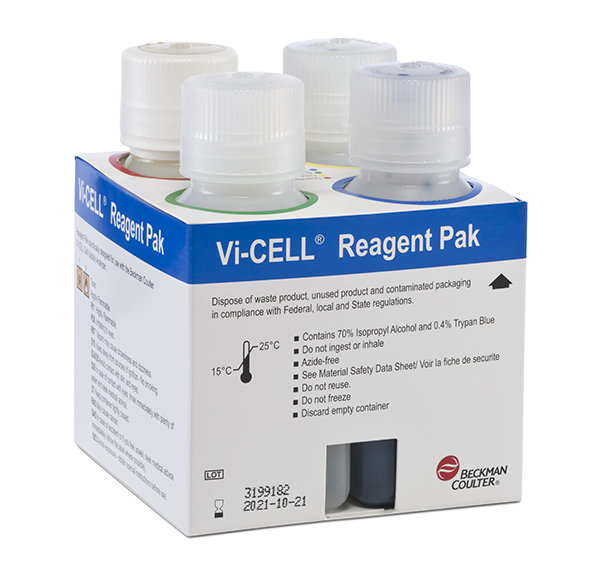 These reagents are used with cell counter and analyzers for consistent and accurate analysis of simple cell systems or your own cell line.